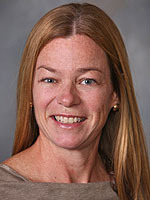 Dr. Christine Will joined Hawthorn in 2000 from the Lahey Clinic in Woburn, MA. She is a graduate of the University of Vermont and the University of Massachusetts Medical School in Worcester. Dr. Will specializes in internal medicine and is a member of the American Medical Association and the Massachusetts Medical Society.